We all have that favorite sneaker, the one that’s comfortable and looks great while you’re running around town (literally running, if you’re into that sort of thing.) However, what you sport on the pavement often times won’t cut it for demanding HIIT workouts like 9Round. Training shoes offer more stability and durability so you can transition from a squat into a side kick with ease. You need just the right amount of traction on the mats, stability for executing kicks and other lateral movements, and support in all the right places. An overwhelming favorite in the women’s category were these shoes from the inov8 F-Lite series. Why we love them: great heel support with zero heel to toe drop, welded toe bumper (making it good for burpees), lightweight and breathable, locks in the heel for stability, and provides great traction for lateral movements on the mats. The Glycerin, from Brooks, is advertised as a road running shoe, but it won us over with a little extra room in the toe box for wider feet, great cushion and arch support, and all the grip you need to execute planks and mountain climbers. Designed specifically for women, these Ryka shoes cradle and cushion feet in all the right spots while leaving room for swift movements like jumps, kicks and turns. Bonus: these are our “best for your budget” pick! 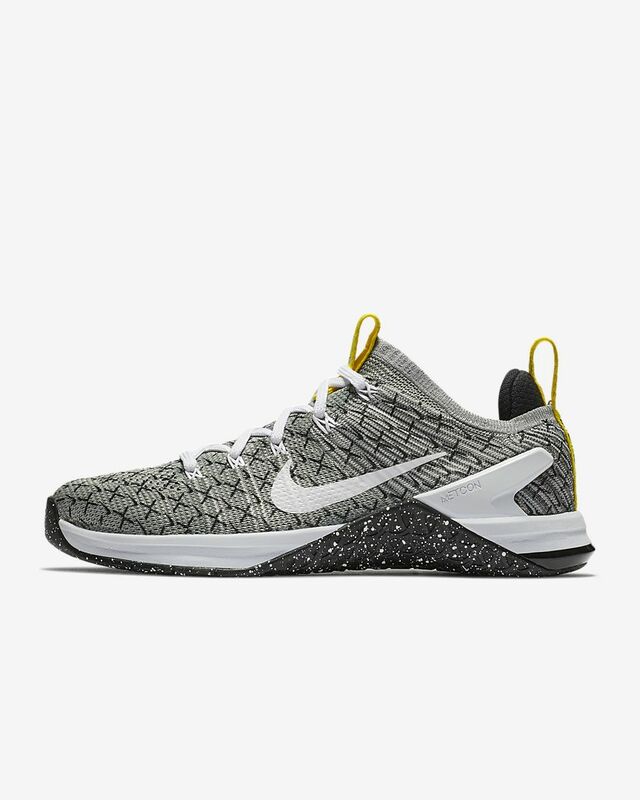 The Nike Metcon Flyknit shoes have a steady platform and secure heel, as well as a sticky, rubbery forefoot so you won’t lose your footing during explosive movements. Making them even better if you’re a big cross-trainer, the Flyknit material and flexible bottom allow you to hit top speeds on the run.